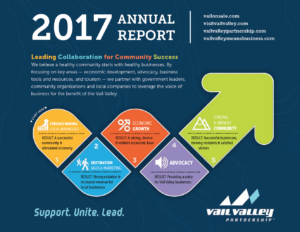 A tribute to our community, staff and collaboration, we thank our businesses, nonprofits, and municipalities for a year building: workforce housing, internship and apprenticeship programs, partnerships, and economic vitality. We are pleased to share this year’s 2017 Annual Report. We look forward to 2018 in growing our relationships and programs.